This is definitely the "dive" in the "Diners, Drive-ins & Dives". A hang over breakfast? 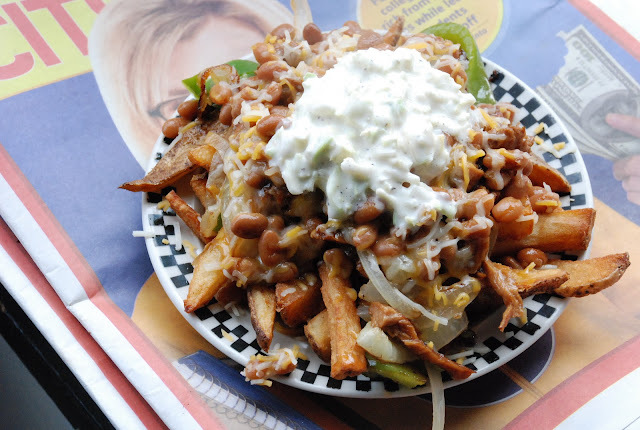 They’ll serve it up in a Minneapolis minute and toss on an extra side of slaw – that’s right, you’re having slaw for breakfast. The grill is a one man show and even on a busy day can produce out of the ordinary meals because anything you order is just that. Every standard is customized to your taste so get ready for a memorable lunch whether you smother it with chili or top it with cole slaw or a fried egg. Super teeny- tiny (I could hardly get my immediate family squeezed into the joint and only the most daring of the bunch were there) and unscrubbed, the chairs are torn and the place is only more or less up to code but that’s what makes it endearing. The menu…a tasty variety of freshly prepared dogs and burgers and the price is right…$28 for 4 and we had a lot of everything off the menu. 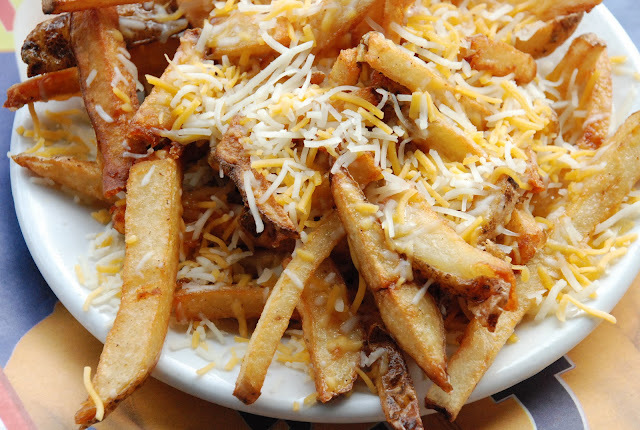 Our favorites: The Italian sausage and the cheese fries. Dive in at 414 Cedar Avenue South, Minneapolis. This lavish drink was originally served at The Colony, a New York City restaurant patronized by the Vanderbilts and Windsors. When I saw this recipe in Saveur I had to try it. I’ve always loved fur collars and have a large collection of them that I put over sweaters, blazers and coats. There is something about fur that implies total luxury. This drink is also an extravagance that you’ll enjoy when it’s time to put your fur collar on and venture out into the snowy, winter weather. In a cocktail shaker, stir together the vodka, apricot brandy, and orange juice. Add ice, cover, and shake vigorously until well chilled, 10–15 seconds. 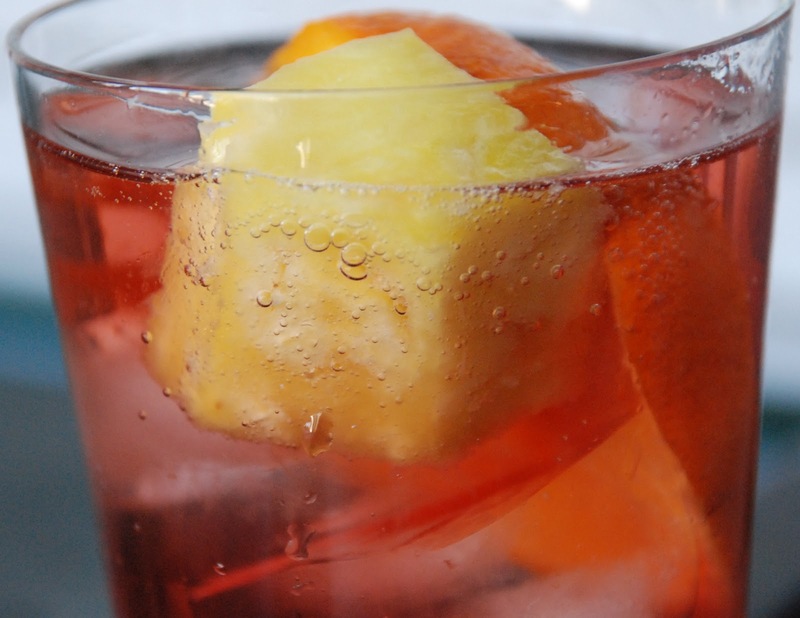 Strain into a chilled cocktail glass and serve. I happen to place a spill of pearls on an equal level of lavishness. 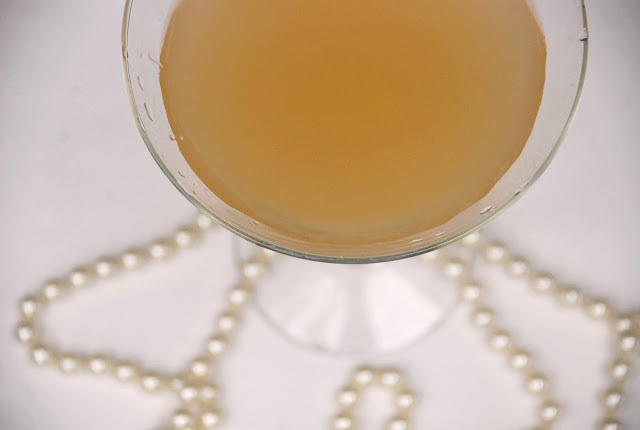 If you don’t have your pearls on, you’ll have to take a pass! Add ice and shake. Strain and serve in a chilled glass. This charming café, located at 1642 Harmon Place in Minneapolis, is in the Loring Park area of Minneapolis. This neighborhood is both diverse and unique and reminds me a lot of many of the neighborhoods in Chicago. It is an adult community made up of professionals, retired homeowners seeking the benefits of living in the city and an increasing population of eastern European immigrants. 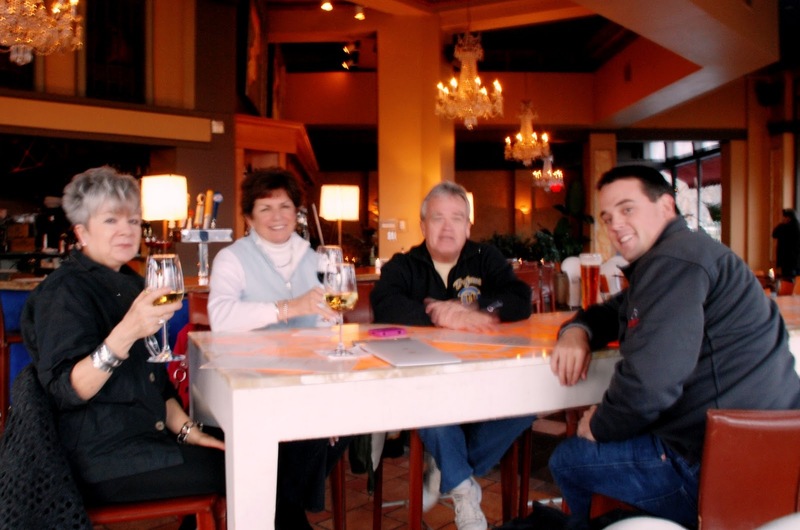 Café Lurcat is owned by D'Amico & Partners, one of the nation's foremost restaurant and catering developers who happens to own and manage 25 restaurants in Minneapolis and Florida. Not only does the café have an impressive bar area, it served up some of the best appetizers I’ve had in a long time. Definitely not your run of the mill bar food. From the Beef Short Rib, Sticky Rice and Pickled Carrot Lettuce Wraps to the Duck Pot Stickers with Kumquat Soy Sauce, everything was amazing. My favorite was the one that my friend Joanne suggested - the roasted cauliflower. The cauliflower was cut thin, brushed with clarified butter then roasted to perfection. I tried making it at home this week and it was really wonderful. I served it with a shaker of parmesan cheese but I also love it plain – which is the way that it was served at Café Lurcat. Cut a head of cauliflower into thin sheets. Roast at 400 degrees for about 25 minutes, turning every 10 minutes, or until the cauliflower is browned and caramelized. Melt the butter slowly. Let it sit to separate. Skim off the foam that rises to the top, and pour the butter off of the milk solids, which have settled to the bottom. A stick of butter will produce about 6 tablespoons of clarified butter. I made these last week and shared the photo with you but not the recipe. These are so easy. There is a trick to this recipe however - Eating just one! Dip each Oreo in the white chocolate, then lay out on a paper towel or baking rack. 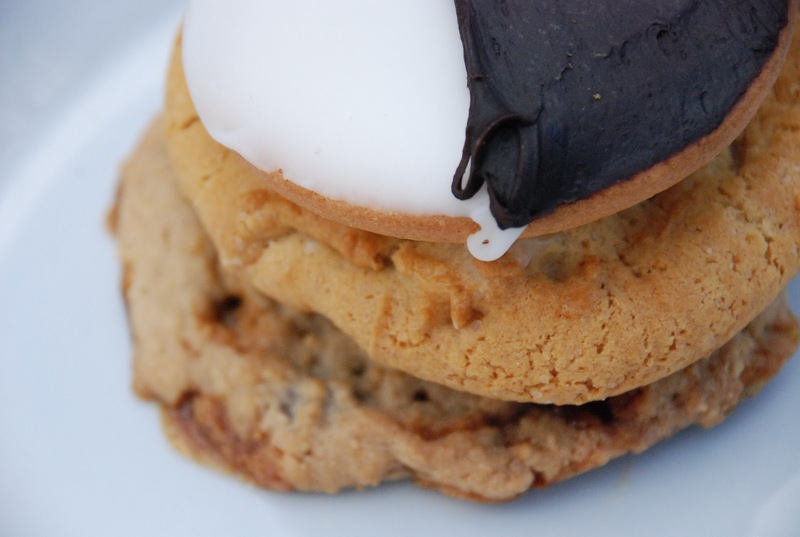 Not just your usual chocolate chip cookie recipe, this one adds Oreo cookies to the mix. Preheat oven to 325 degrees F. Grease your cookie sheets. Sift flour, salt and baking soda together and set aside. Mix the sugars and melted butter, add egg, yolk and vanilla and mix. Add sifted ingredients and mix until just blended. Stir in the Oreo chunk, chocolate chips, and white chocolate chips. Drop spoonfuls of the dough onto baking sheet and bake for 10-12 minutes. Leave them on the cookie sheet to cool about 5-10 minutes. Remove the cookies and place on a cookie rack to finish cooling. They will fall apart if you move them too early. This recipe makes approximately 17 cookies. A tradition in my house is key lime pie…absolutely any time and especially in November when nobody is expecting it. Most people expected a pumpkin pie on Thanksgiving so it was a great treat for my neighbors when I brought those full - of - flavor little key limes pies instead. Key Lime brought everyone back to summer and was the connection to our weekly Sunday night BBQs. Funny how food can do that. 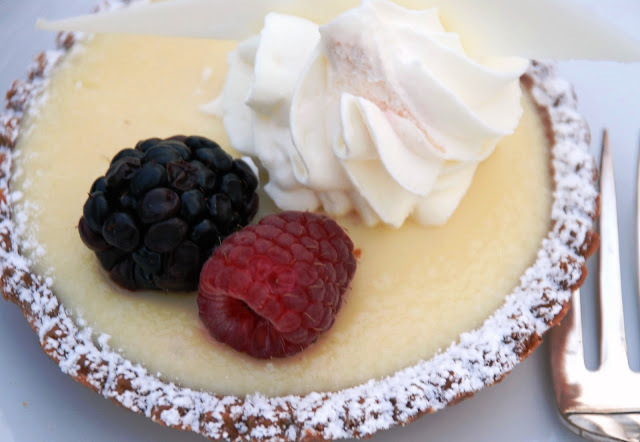 I just might have to take a trip to Florida this winter to get inspired because Key Lime Pie was voted back on the menu for Thanksgiving next year. When Raymond Chen get’s it perfect with some Memphis-style eggs and baby back ribs, this makes for a to die for breakfast, especially for anyone who is devoted to pork…and that would be me! 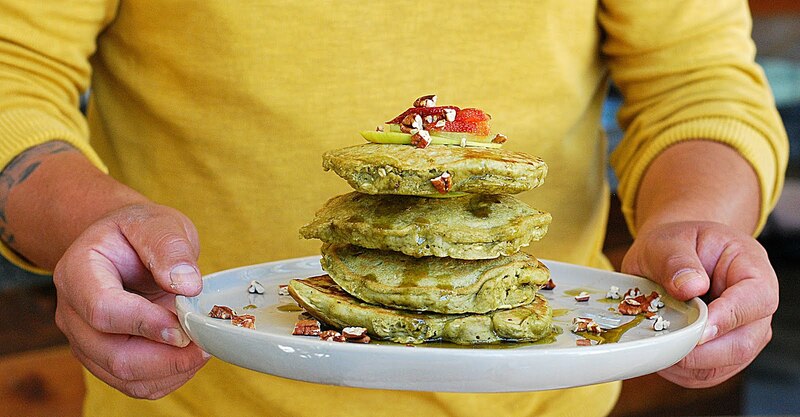 This is an eye-catching brunch recipe for all the favorite breakfast people in your life. 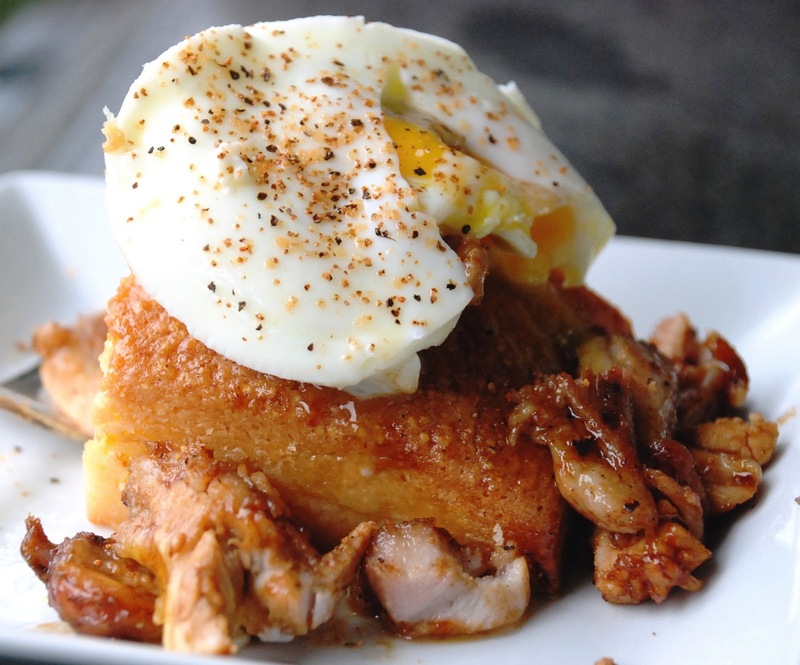 I could live on this as it joins the great taste of pork with my favorite base layer – cornbread. Outside of the fact that this recipe is just a basic 101, using leftover ribs has never been an easier or more delicious. Take a half rack of ribs (enough for two) and heat it in a 350-degree oven for ten minutes, and then shred the meat off the bone. Meanwhile, make hickory-hoisin sauce: Bull's-Eye hickory smoke sauce and Lee Kum Kee's hoisin sauce, mixed in a two-to-one ratio. Toss the meat in the sauce — not a lot, since the corn bread is sweet — and set it on top of a couple slices of corn bread. Poach a couple of eggs by gently cracking them into a pot of aggressively simmering water with a couple teaspoons of white vinegar. After about two minutes, remove the eggs with a slotted spoon and place on top of the pork. Finish with some sliced scallions. 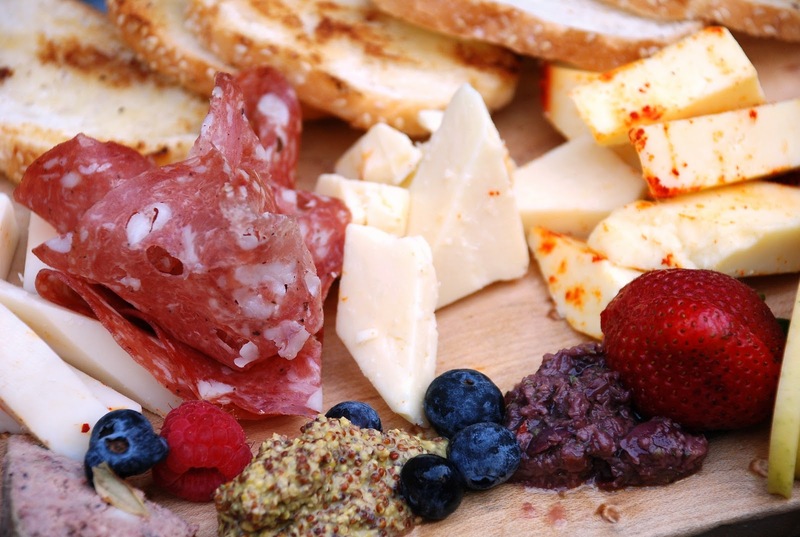 Italian cheese makes a classic board and can be mixed with Parma Ham, Prosciutto and a variety of Italian meats, bread and crackers and some fresh fruit. I have a small one for dinner on the weekend followed by an Italian chopped salad. That’s my idea of fast Italian. 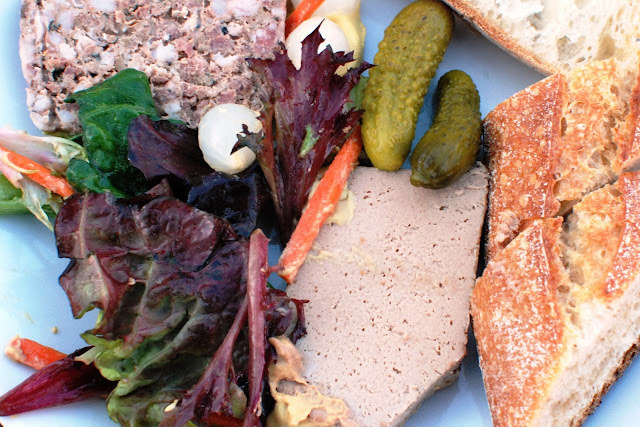 And when I’m not in the mood for Italian, I do the same thing with pate which is the same thing we ate in Paris practically every day we were there. 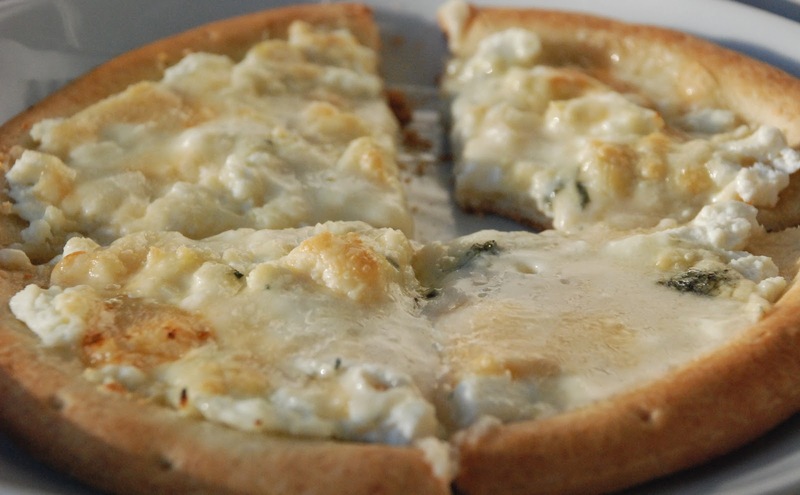 I use different cheese every time but often include such classics as Parmigiano-Reggiano, Pecorino Romano, Asiago d'Allevo, Mountain Gorgonzola, Provolone Piccante, and Taleggio. Do you love silly? I love silly and this is one of those recipes. Yes, it’s only possible to make when the snow flies… and that will be soon enough. DRAT! I like to make this recipe with the ones I make snow angles with. You can catch me on any given day in the middle of winter doing just that. Snow angles and snow ice cream just go together don’t you think? I’m a plain vanilla girl – my favorite color is white even if my son tells me it’s not a color. If you happen to try flavors, let me know which ones worked the best. Take your large bowl of snow and stir the snow. Add just enough milk to make the right consistency of ice cream. Start with about 1/2 cup and keep going until you have enough to make the snow creamy. If you add too much milk and it becomes runny, but all you do is just add some more snow. 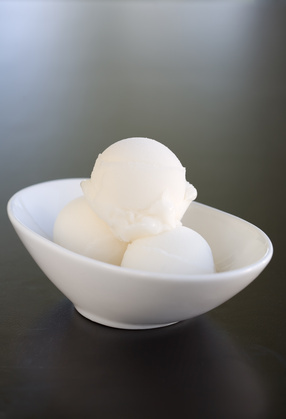 Stir in a little vanilla and sugar and you've got yourself some homemade snow ice cream. You can also add some other flavoring such as chocolate or strawberry syrup if desired. Snow ice cream can be put in the freezer but it's best served right away. From John Besh, the chef and owner of August in New Orleans, this is an impressive one-pot meal using a reduction of zinfandel and sugar. Once everything goes in the pot, you’re off the hook. Now you can enjoy your guests and go crazy from the smells. This recipe has huge flavors. Don’t forget to make extra because it was even better the next day. Creamy mashed potatoes and Cajun Corn Maque Choux follow and made a great combination for the perfect cold weather meal! 1. 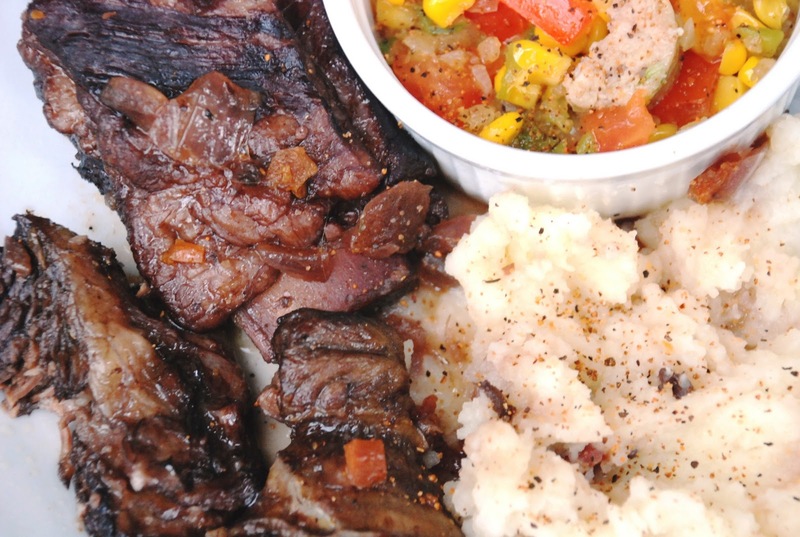 Season short ribs with salt and pepper; be rather generous. In a mixing bowl, whisk together zinfandel, sugar, tomatoes, beef broth, garlic, thyme, bay leaves, and a pinch of salt. 3. When all beef is browned and removed from pot, add onion, carrots, and celery, allowing onion to cook until browned, about 10 minutes, stirring frequently. 4. Return beef to the pot along with wine mixture. Allow wine to come to a boil before reducing heat, skimming fat from surface. 5. After simmering for several minutes, add mushrooms. Cover and simmer over very low heat until meat is fork tender and nearly falling off the bone, about 1 1/2 to 2 hours. 6. Once the beef has cooked, remove from pot and keep warm. Turn up heat and reduce the pot liquids until thickened, about 10 minutes. Season with salt and pepper to taste. 7. Transfer ribs to four shallow bowls, spooning liquid over top. My grandmother always used a ricer to get the wonderfully smooth consistency of these potatoes. 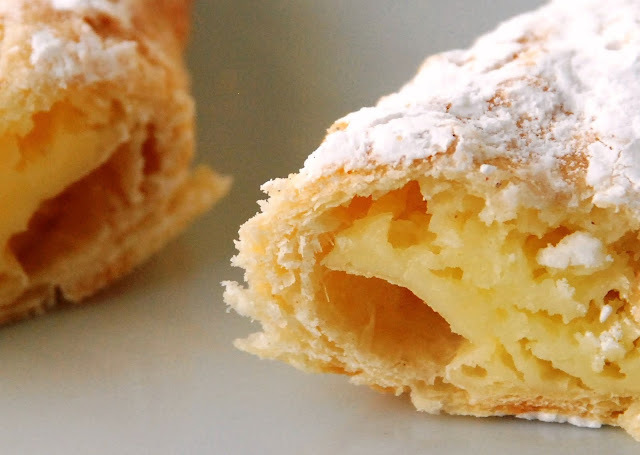 This is a classic recipe that has been around forever and passed on from one generation to the next. It also lists as a marvelous comfort food. I’ve been known to eat a heaping plate of mashed potatoes and nothing else for dinner. Peel potatoes and cut into 1" chunks. Place potatoes in a 4-quart saucepan and cover with cold salted water. Bring to a boil over high heat, reduce heat to medium-low, and simmer until the tines of a fork slide easily into the potatoes, 15–20 minutes. Drain. Meanwhile, heat cream and butter in a 4-quart saucepan over medium heat, stirring occasionally, until butter is melted and cream is hot. Remove the saucepan from the heat. Working in batches, pass the potatoes through a ricer into the hot cream mixture. Beat the potatoes vigorously with a whisk until smooth and creamy. Season with salt and pepper, to taste. Serves 4-6 people. If I could pick one recipe to serve with turkey or chicken this would be it. The delicious mix of vegetables and sausage is a timeless New Orleans recipe. 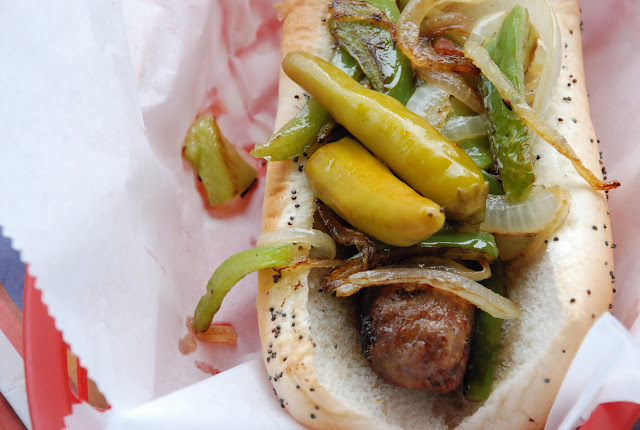 I used a homemade, spicy chicken sausage today which turned out to be as good as the andouille. I play around with the ingredients when I make it and often throw in vegetables that appear to be on their last leg. Someone asked me the other day “What camera do you use? Your food photos are so good. “ Photographers have both an eye and a passion for what they shoot. It’s really about the eye and not so much about the type of equipment. I actually know one professional who takes photos with a simple point and shoot and does so just to prove a point to those who ask him that very same question. New technology has made it a lot easier to become a good photographer these days. Here are a few tips for shooting food that will significantly improve your results. My # 1 Tip: Fill the frame.When shooting food, you’ve got to get up close and personal with your next meal. I devour the food in my head before I actually eat it. Thinking about what you are shooting is 80% percent of the photo. Practice makes perfect. Shoot often and analyze the results. I constantly pore over photos in food magazines and on the internet and introduce styles that I like into my food portfolio. Keep it simple. Using solid colored plates and bowls and fewer props produces more natural, eye-catching results. Make it all about the food instead of the plates or props. 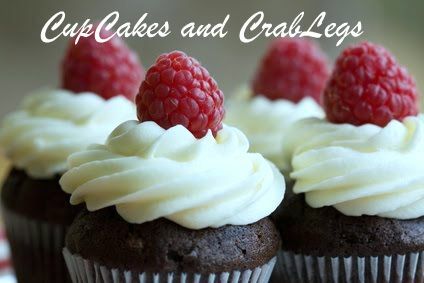 I will sometimes use props to match my food, as in the case of this cupcake or a few holiday items. Use natural light. I have a big window in my kitchen where most of my food photos are shot. I also run a dish out to a ledge in my front yard to shoot it outdoors. I always use natural light and as needed, increase the ISO to get the shot. Turn off your flash. Shooting with a small flash is the worst thing you can do because the photos will look flat. Use back or side light on your photographs. On days with a lot of sunshine, use a white card placing the food between the light source and the card. The light will bounce off the card and soften the effect. When shooting in low light, use a tripod to keep the camera steady. You’ll get blurred pictures when hand holding a camera in low light. Take time to set up the shoot and pay attention to the details. 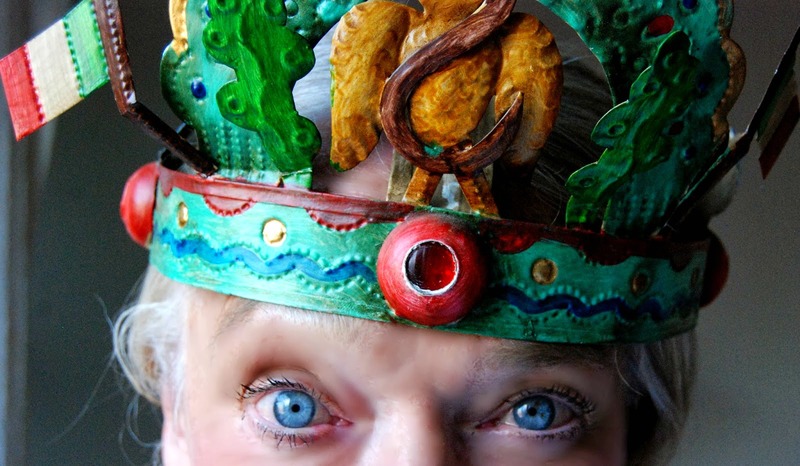 Everything that is not right will be exaggerated under the eye of your camera. Small plates and bowls are best. Large dishes are harder to frame. If you want to find out what chefs are really thinking, read on. This article is from Food Network Magazine, who did an anonymous survey of chefs from around the country and here are some of the interesting things they discovered. Who would have guessed at some of the results! Chefs are pickier than you think: Only 15% of chefs surveyed said they’d eat absolutely anything. Still, chefs hate picky eaters: More than 60% said requests for substitutions are annoying. Chefs have expensive taste: The restaurant chefs most often cited as the best in the country was The French Laundry in California’s Napa Valley. Dinner there is $240 per person, before the wine. ...and yet they like fast food: Their favorite chain: Wendy’s. Culinary degrees: They aren’t the norm. 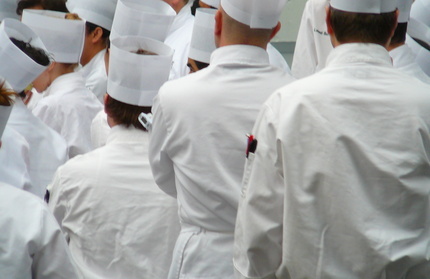 Just half the chefs surveyed graduated from a culinary school. The rest got their training the old-fashioned way - working their way up through the kitchen ranks. Critics trump movie stars in the VIP pecking order: A whopping 71% of chefs said they give special treatment to restaurant critics when they spot them; only 63% do the same for celebrities. Your bread basket might be recycled: Three chefs admitted that uneaten bread from one basket goes right into another one. Chefs work hard for low pay: The chefs we surveyed work between 60 and 80 hours a week and almost all of them work holidays. Sixty-five percent reported making less than $75,000 a year. Waiters take home an average of $662 a week, often tax free. “Vegetarian” is open to interpretation: About 15% of chefs said their vegetarian dishes are not completely vegetarian. Beware if you’re one of those super-picky vegan types: One chef reported seeing a cook pour lamb’s blood into a vegan’s primavera. Paying for a last-minute reservation probably won’t work: Only one chef said payoffs will help you get a table when the restaurant is booked; he suggested “promising to buy a bottle of Dom Pérignon.” Being a friend or relative of the chefs is a better bet. Menu “specials” are often experimental dishes: Contrary to popular belief — that specials are just a chef’s way of using up old ingredients — most chefs said they use specials to try out new ideas or serve seasonal ingredients. Only five chefs admitted that they try to empty out the fridge with their nightly specials. The appropriate tip is 20%: That’s what chefs leave when they eat out, and it’s the amount they think is fair. ...unless the service is really poor: An astounding 90% of chefs said it’s fair to penalize bad waiters with a smaller tip. Chefs hate working on New Year’s Eve more than any other holiday: Valentine’s Day was a close second, but don’t take that to mean chefs aren’t romantic: 54% said they like it when couples get engaged in their restaurant. They secretly want to be Alton or Giada: Nearly 60% of chefs said they’d want their own cooking show. Chefs cook when they’re sick: It’s a long-standing tradition in the restaurant industry: Cooks report to duty unless they’re practically hospitalized. Many chefs have cut themselves on the job, gone to get stitches, and returned to work to finish out the night. Accidents definitely happen: Almost every chef they surveyed has been injured on the job in some way, and several chefs said they’re missing parts of their fingers. The five-second rule actually applies: A quarter of the chefs surveyed said they’d pick up food that dropped on the floor and cook it. Your waiter is trying to influence your order: Almost every chef surveyed (95%) said he or she urges servers to steer customers toward specific dishes on the menu each night. Restaurants mark up wine by a lot more than you might expect: Most chefs said that a bottle on their wine list costs 2½ times what the same one would cost in a wine store. There’s a reason so many restaurants serve molten chocolate cake: More than 75% of chefs said they take inspiration from other restaurant menus. 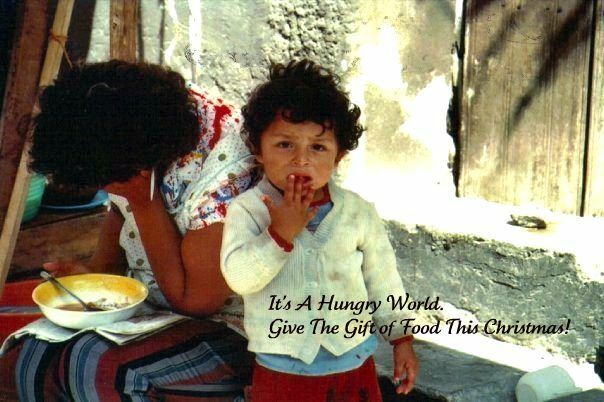 Diana Kennedy has spent the last 45 years traveling through Mexico researching Mexican cuisine. I would say that qualifies her as an expert. 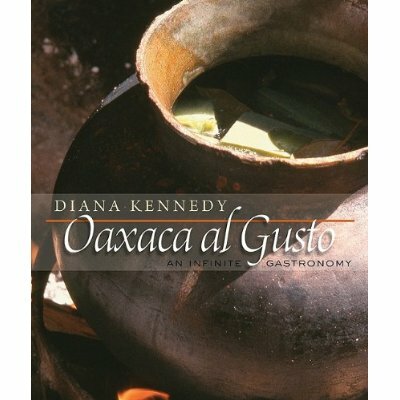 Diana just published a comprehensive culinary bible, “Oaxaca al Gusto” which focuses on the dishes of Oaxaca, the poorest region of Mexico. It is in these traditions that make food writers believe that Oaxaca has the most genuine food in all of Mexico. You be the judge. Diana’s photography reflects this as well and delivers a whole new message to elevate Mexican food as an art form. "Oaxaca al Gusto” – devouring it’s contents is something you’ll want to do after just one peek and this book will definitely be the gem in your collection of all things Mexican! Chef John Currence made this recipe a traditional New Orleans favorite. 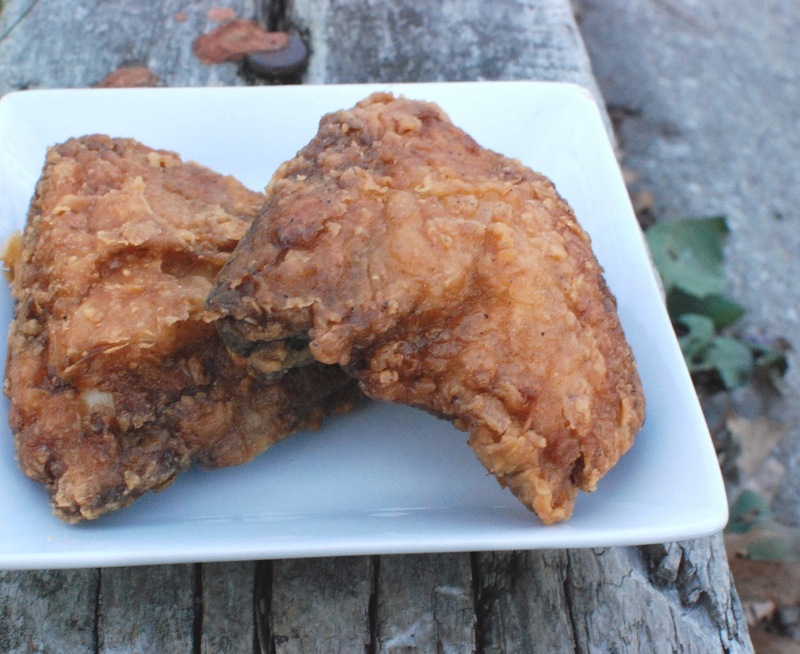 Just one problem…I happen to love fried chicken and this is a not so classic version of my grandmother’s best effort. Like I said before – whoever has the best fried chicken wins! Rinse chicken, drain, and set aside. Blend together brining mix until salt dissolves. Place chicken in brine in a large covered bowl and marinate, refrigerated, for 4 hours. Whisk egg well in a stainless-steel bowl and add peanut oil and 21/2 cups water. Add in dry mix, whisking slowly so batter doesn't clump. To prepare chicken: Fill a large cast-iron skillet halfway with equal amounts peanut oil and lard. Slowly bring temperature to 375 degrees. (Use a candy thermometer.) While oil is heating, remove chicken from brine and place in a colander in sink. Once chicken has drained, pat dry with paper towels (a critical step) and season with salt and pepper. 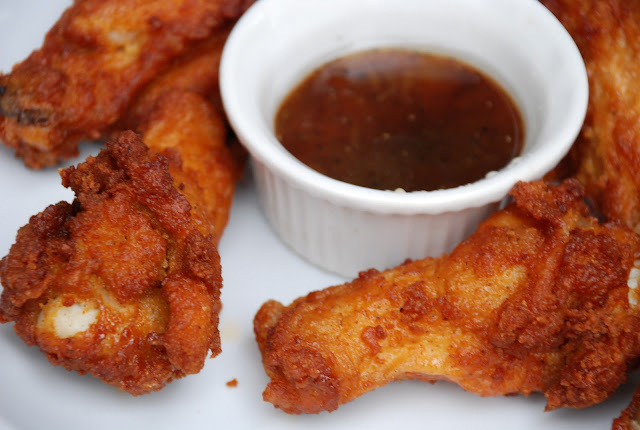 Dip chicken in batter and place (carefully) in hot oil. Adjust heat, as the chicken will bring the oil temperature down dramatically — you want it back up to just above 350 degrees. Turn chicken regularly using tongs to prevent burning. After 8 or 9 minutes, remove a piece, prick it to the bone with a fork, and mash it. If the juices run clear, it's done. Continue cooking if necessary. Chop everything finely and combine. Add a little pickle juice, if desired. Refrigerate. 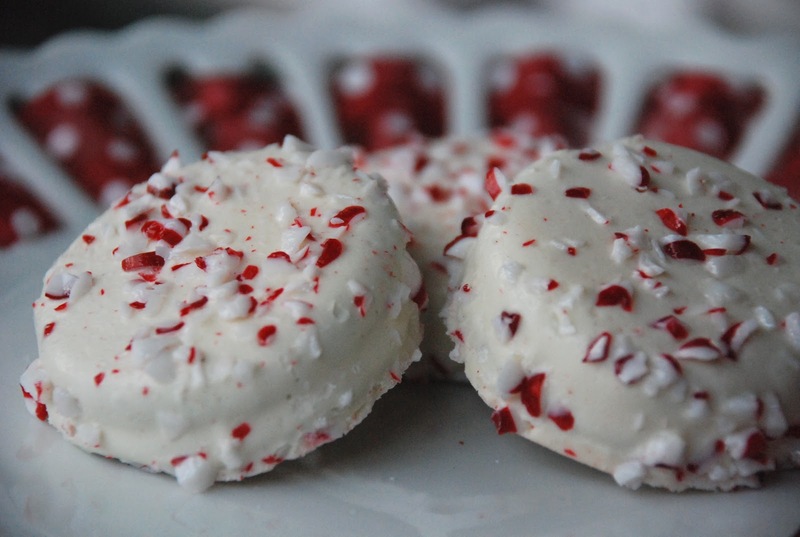 Everyone has their own story and memories about Christmas cookies. Over the next few weeks, you’ll find new cookie recipes to add to your growing collection. Oreos have always been my favorite cookie and I found a new way to make them oh so Christmas delicious. Cover them with white chocolate and sprinkle them with peppermint. Yes, Long Grove Confectionery finally improved the Oreo cookie. Look for the recipe in the coming weeks. 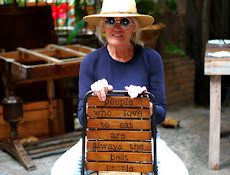 If you hit upon any recipes that you know I would love to try, send them my way and we may feature them in a post. 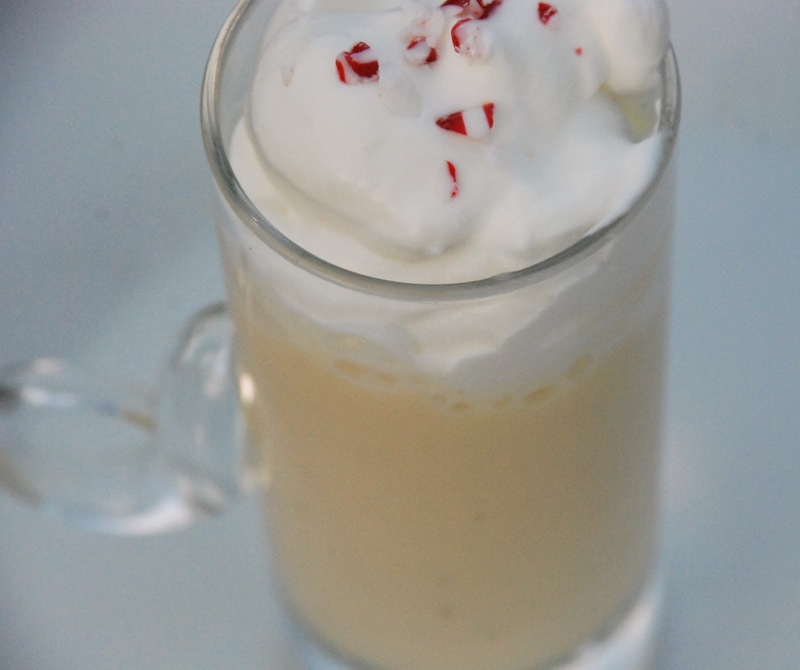 Now dress your eggnog and get into the holiday spirit. Bon Appetit! Let The Holidays Begin! I buy these specialty Asian wrappers and fill them with fresh veggies. Sometimes I’ll have them with a small bowl of cold gazpacho. Just another way to get your daily dose. Here is a great recipe for spring rolls and at just 62 calories and 0.7 grams of fat, I could get stuffed on these and never gain an ounce. I don’t just make them in the summer. They are good any time and you can pair them with absolutely anything as a side of veggies dressed. In another small bowl, mix the hoisin sauce and peanuts.  Always buy them super fresh and store them properly.  Dice veggies and scramble them into eggs. 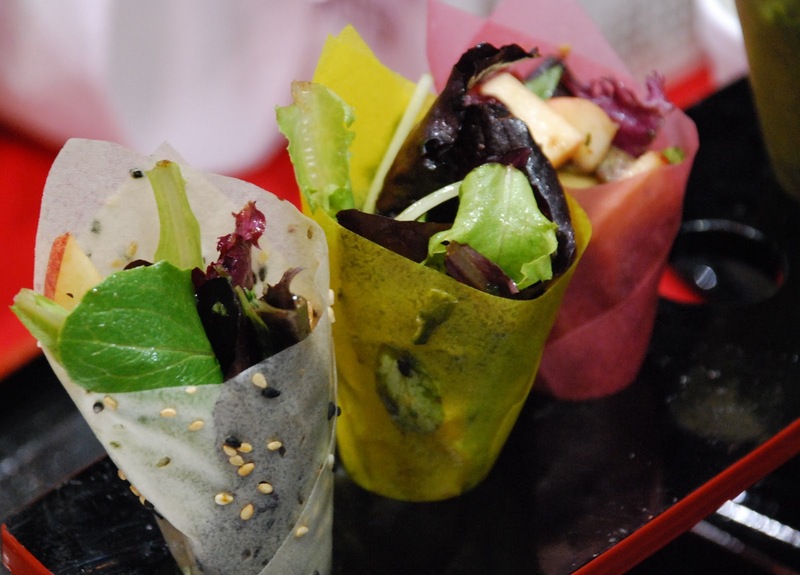  Make wraps and load them up with fresh veggies. Add a little turkey if you are dying for a little protein.  Rotate them frequently so you don’t tire of them.  Eat a veggie sandwich at Subway. They are so good with hot peppers and honey mustard dressing. I could eat one every day and not get sick of them.  Make sure that at least half your plate is veggies.  Start lunch and dinner with a small salad or have an entrée salad for your meal.  Order pizza with extra veggies. 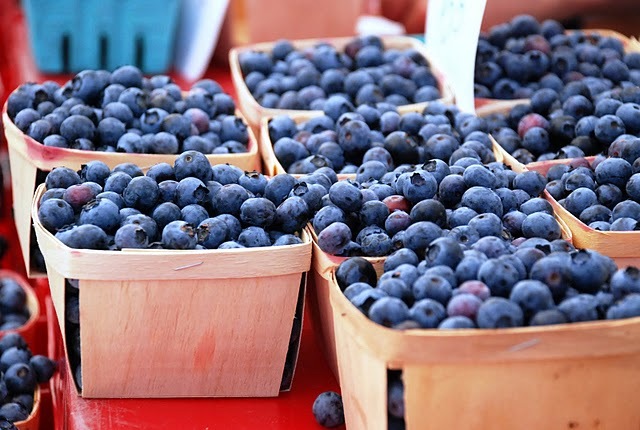  Put berries in your granola and yogurt.  Treat yourself to a veggie burger.  Make a fruit salad and keep it in your refrigerator to serve with every meal.  Try new veggies. Research them on the internet and try new recipes.  Make your spaghetti sauce with lots of veggies. Shred the veggies so your kids don’t know your sauce is loaded. Veggies can be used in a lot of sauces.  Make fresh salsa and use it on everything.  Make a veggie soup and use leftover meats to flavor them.  Add a little sweet and sour sauce to veggies.  Throw veggies on the grill – my favorite way of eating them. 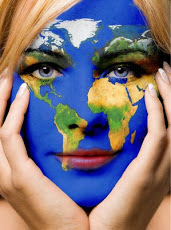  Go vegetarian one day a week. Congrats to Bill for receiving the Bib Gourmand for both restaurants. Others to receive the honor are Stephanie Izard’s Girl and The Goat, Rick Bayless of Frontera Grill, and Jason Hammel and Amalea Tshilds for Nightwood and Lula Café. There are chefs who were less than thrilled with the honor and shall forever go nameless. Michelin says that a “very good value” means an appetizer, entrée and a glass of wine will run you less than $40. In this economy, that is exactly the type of restaurant that most people are looking for. Any restaurant that can give you great food for a fair price has my repeat business. I’ve had several invites to Gilt and have to get down there as they were a recipient as well. 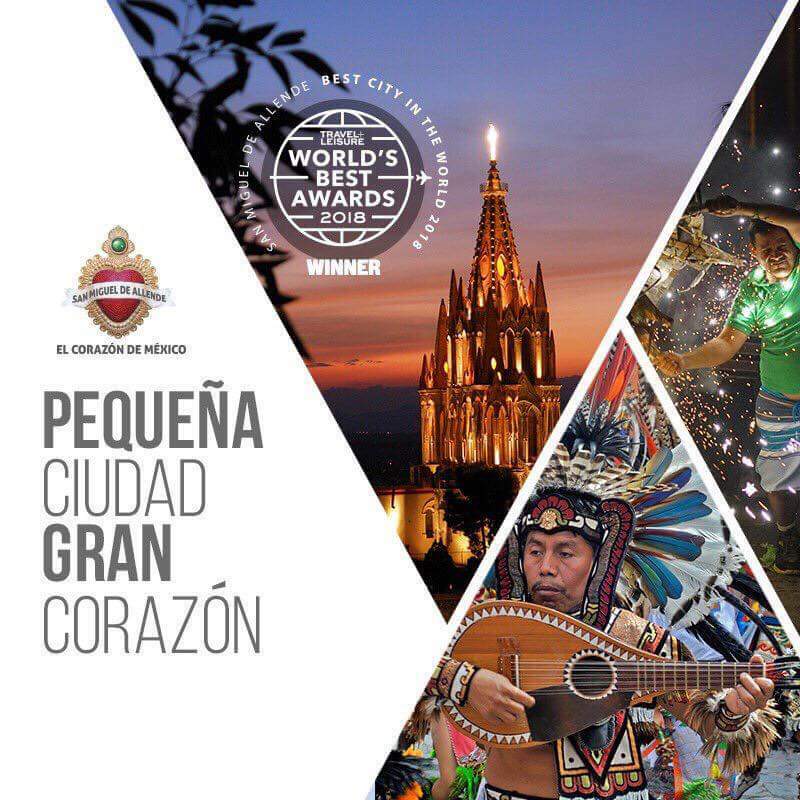 Chicago actually had 46 restaurants receive the award. You can find a complete list of the Bib Gourmand winners at facebook.com/Michelin Guides. 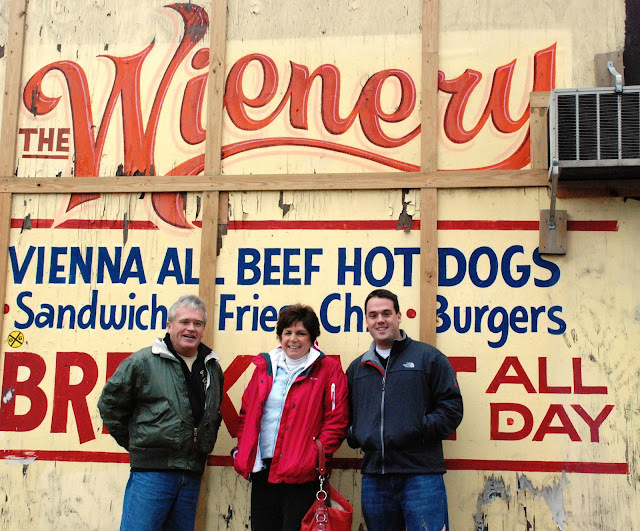 Some of the best “fine dining for a fair price” are found right in your Chicago neighborhood. Bon Appetit and Congrats To The Chefs! These recipe are by Tom Valenti, Executive Chef and co-owner of Ouest Restaurant on the Upper West Side of Manhattan, in New York City. Tom is a diabetic and many of his recipes are featured in Diabetic Living Magazine where I found this one. I remember when I was young and my mom would bake onion rings in the oven. That’s what this recipe reminded me of. OK but not great. I’m publishing the recipe anticipating that you’ll make some enhancements to it to take it to the next level because it definitely needs some work. Not a lot but some. The only way that I could get into this recipe was by adding some extra salt and dipping them in chili sauce…then they did not taste half bad. I understand Tom Valenti’s thought process here. You cook the onions ahead of time so they are soft. I think that was absolutely the right things to do. The problem was the coating. I may try using seasoned breadcrumbs next time or try to spice them up a bit. Anyway, the coating needs work. I’m not sure anything will actually taste as good as the deep fried but I’ll try. Is your magic up to the challenge? Bring a pot of water to a boil over high heat. Add the onion rings and cook until tender, 3-4 minutes. 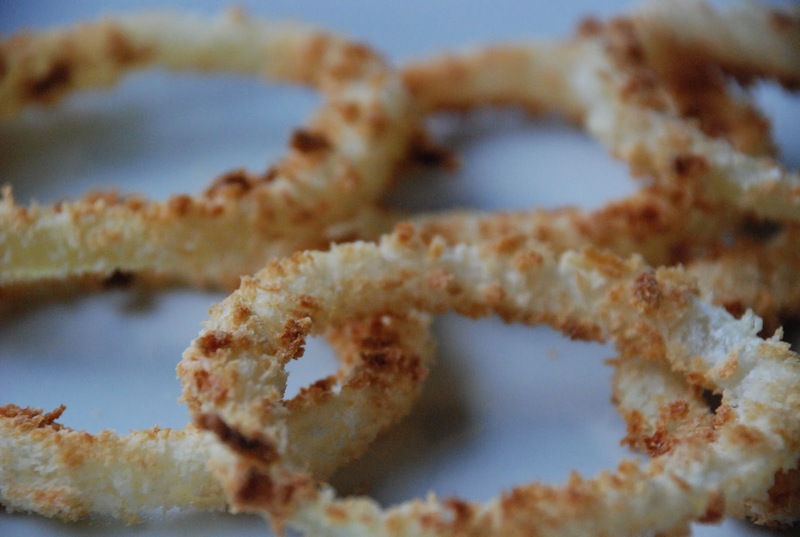 Drain the onion rings well and set them aside to cool. Meanwhile, preheat the broiler and position a rack about 8 inches beneath the heating element. Spread the flour out on a plate. Place the egg whites into a wide shallow bowl. Put the bread crumbs, onion powder, and salt in another wide, shallow bowl and stir them together. One by one, dredge the onion rings in the flour, shaking off any excess, then dip the rings in the egg white, followed by the bread crumb mixture. As they are breaded, arrange the onion rings on a baking sheet. Put the baking sheet under the broiler and broil the onion rings until nicely golden, turning them once, 2-3 minutes per side. Transfer the broiled onion rings to a bowl or plate or serve them alongside a main course. 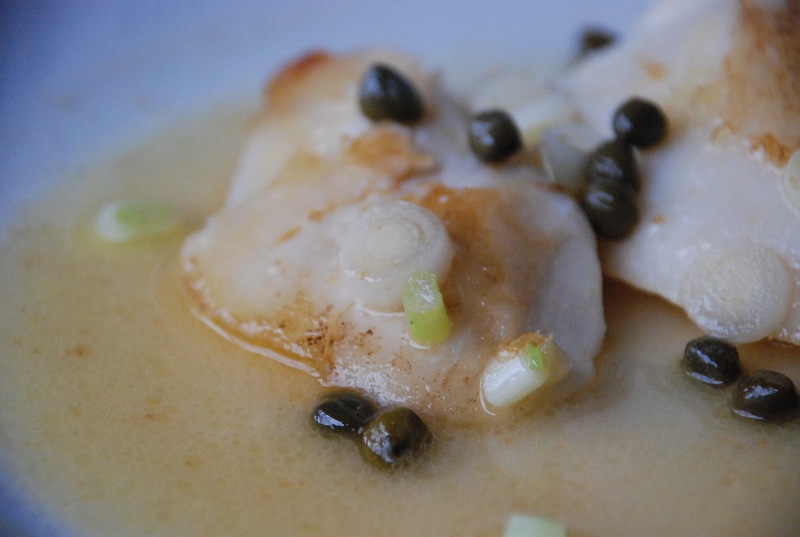 My store was out of fresh snapper fillets and suggested that I used Sea Bass Cheeks. Field and Stream says: “Anyone who loves fish should try eating the cheeks. Very tender, and very flavorful.”Watch these carefully as you can easily overcook them. Rinse fish under cold water. Pat dry. In a large skillet, heat oil over medium- high heat. Place fish in skillet, skin side down. Cook 4-6 minutes per ½ inch of thickness. Place fish on a platter, skin side up. Return skillet to heat. Add wine and cook 2 – 2 ½ minutes scrapping up any brown bits on the bottom of the skillet. Add broth and bring to a boil. Reduce to simmer. Simmer 4 minutes or until liquid is reduced by half. Add half the butter, stirring until it melts. Stir in green onions and chives. Remove skillet from heat. Add lemon juice, capers and black pepper. Add the other tablespoon of butter and whisk. Pour over fish. For even crisper fish: Dip fish pieces in ¼ cup flour to coat and increase oil by 2-3 teaspoons. Make this recipe for your friends and family at Thanksgiving and they will love you for it. 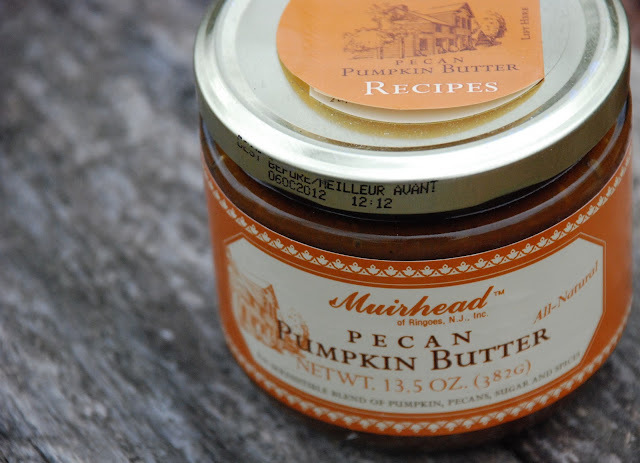 Yes – you have to buy the William Sonoma Pumpkin Butter but it is so worth the extra $$$. This is one of the best holiday desserts that I’ve had all year. Divide cake mix, placing all but one cup in a mixing bowl. Stir the melted butter and one egg into the cake mix until combined. In another bowl, mix pumpkin butter with two eggs and milk until combined. Spread pumpkin mixture over pressed cake mix. 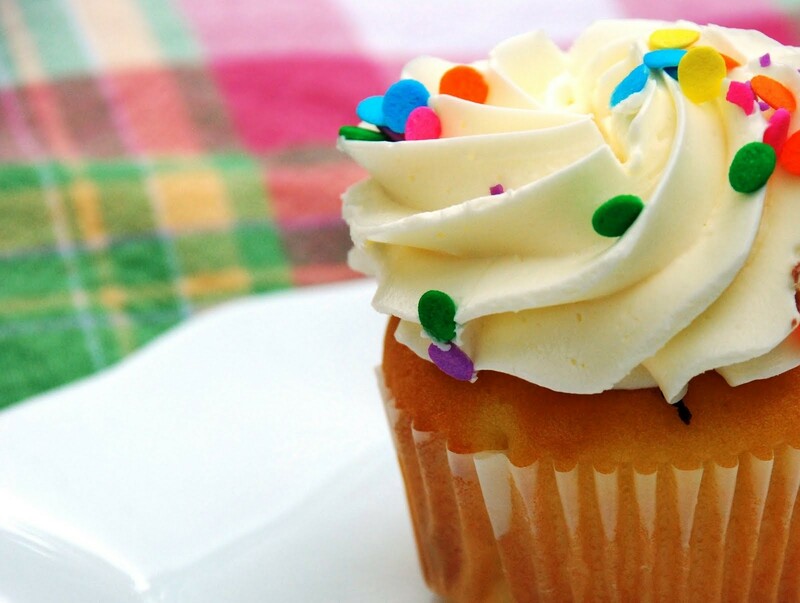 Stir the reserved 1 cup of cake mix with the flour, sugar, and cinnamon. Then add the softened butter and mix together until crumbly. Sprinkle over the top of the pumpkin layer. Bake for about 35 minutes or until golden brown. Cool and cut into 2 ” squares. Serves 24. This recipe is from the Chicago Tribune and makes delicious, homemade pickles. 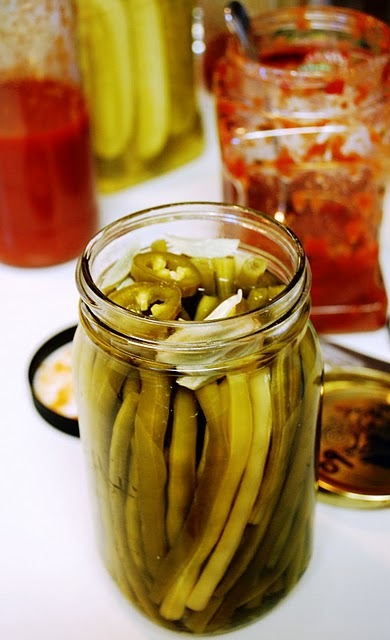 They are done for flavor rather than preservation so you avoid the complex canning process. My neighbor first gave me a jar and I’ve been hooked ever since. These keep in your refrigerator for up to 10 days. Combine cider vinegar with 1/2-cup of water, salt and pickling spice in a small saucepan. Heat to a boil. 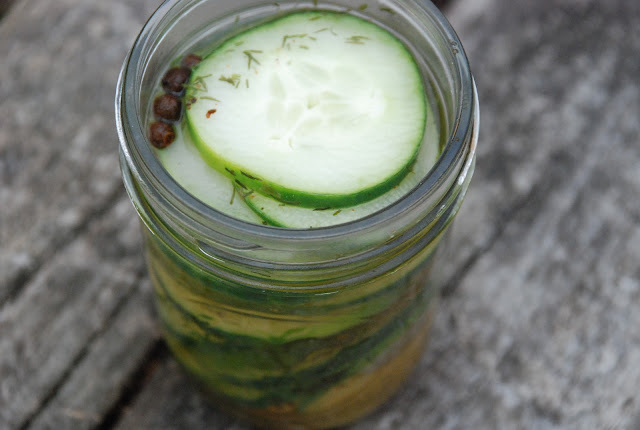 Place cucumber in a clean, dry glass container just large enough to hold all the slices. Pour boiling brine over cucumber slices to cover completely. If all cucumbers are not submerged, add cold water to cover. Cover; refrigerate at least 1 hour. Pickles will keep for about 10 days. 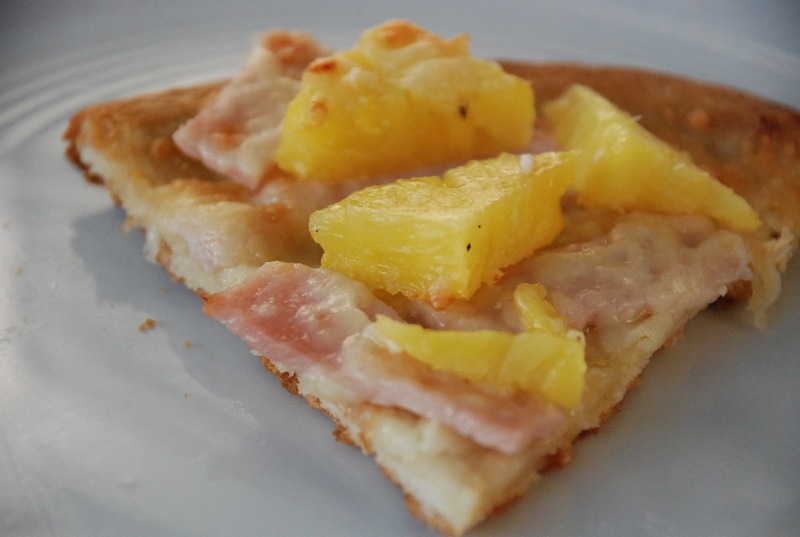 Nutrition information: Per 2 slices: 3 calories, 0% of calories from fat, 0 g fat, 0 g saturated fat, 0 mg cholesterol, 1 g carbohydrates, 0 g protein, 80 mg sodium, 0 g fiber. I checked at 7 stores and I couldn’t find pickling spices so I gave up and made my own! Here is the recipe. Mix all the ingredients and store in a airtight jar for up to 2 months. 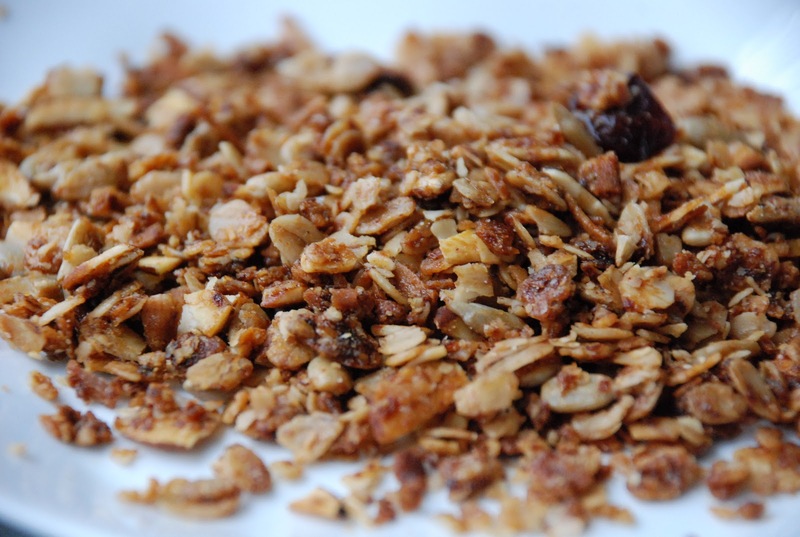 I can put rolled oats, almonds, sunflower seeds, coconut, wheat germ, honey, brown sugar, dried cherries, vanilla, cinnamon and other goodies in the oven and come out with the most amazing granola. I change up the recipe every time. So much cheaper to make your own and it’s nice to know all the ingredients in what you are eating. 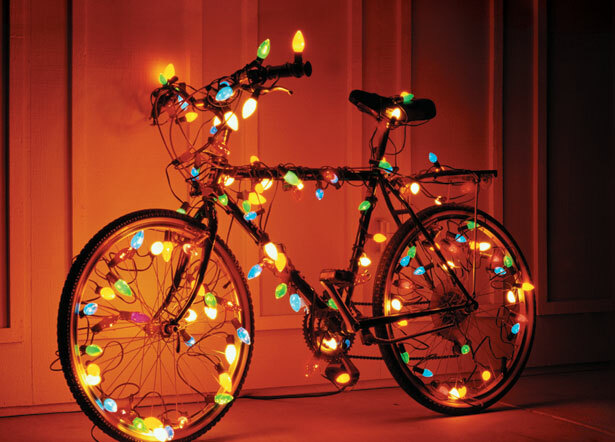 Want to go out for a holiday ride? 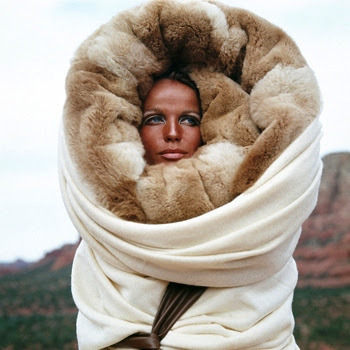 Not many people willing to brave the November cold but some of us are die hards. We'll keep on going until there is a foot of snow. 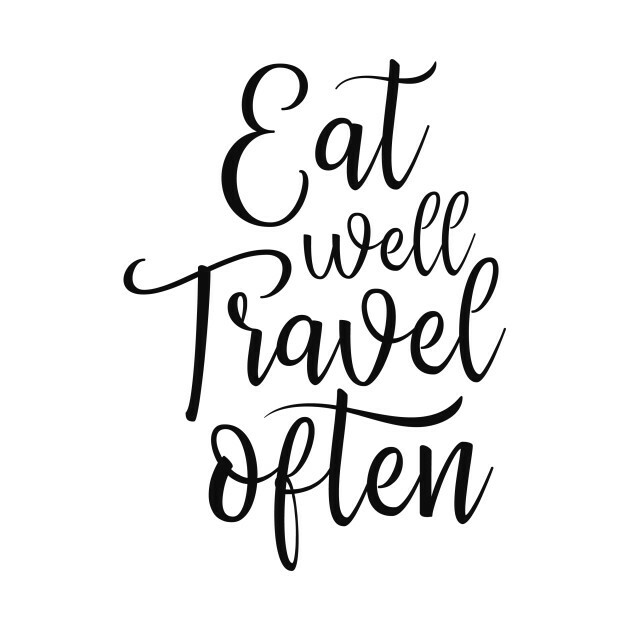 Bon Appetit and sure you’ll be hungry when you get back home! 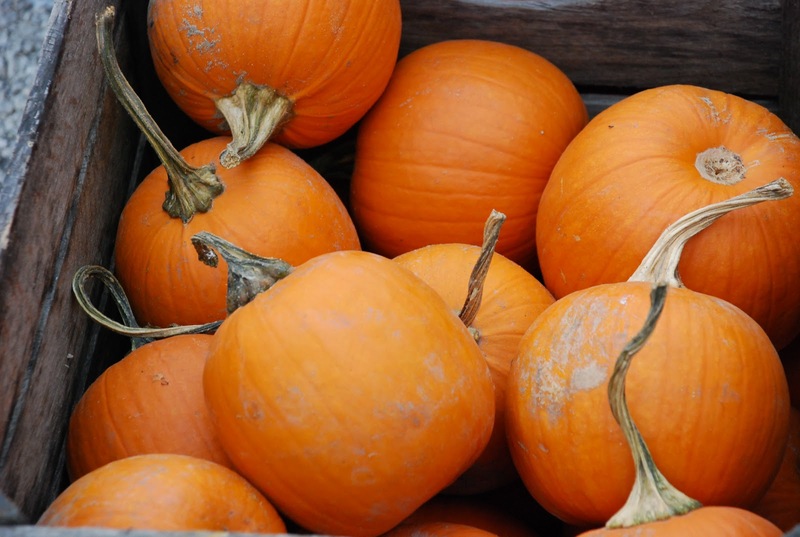 Here is the link to the Feast of Fall. The weather has been OUTSTANDING - I don't ever remember a fall this warm since I moved to Chicago. 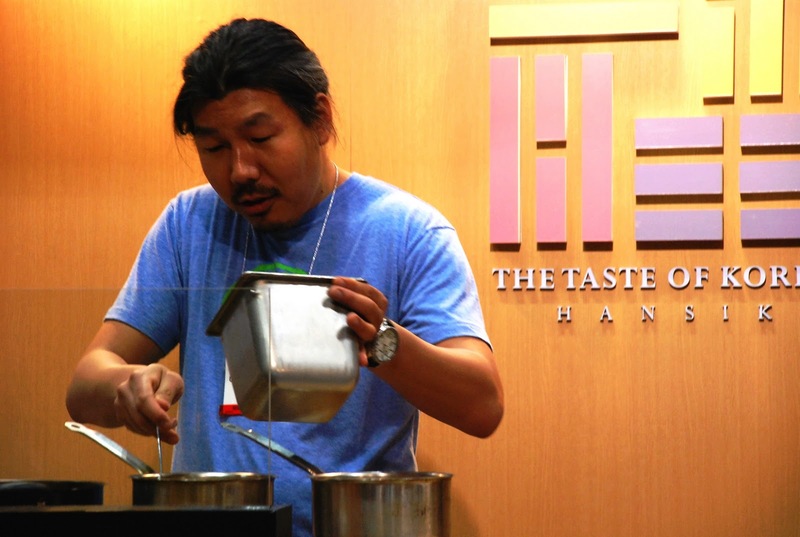 I've experienced fantastic food - Thanks again to the gang at Chicago Gourmet 2010 and all the restaurants I have enjoyed. What great fun - in particular a visit from my son and his friends and regular trips to Green City and Maxwell Street Markets. LOVE CHICAGO! Hoping to hang on to this fall weather just a little bit longer. If you are the center of attention these days, don't feel like you're alone. Lake Bluff had it's own wild turkey this past summer and got a big following on Facebook. These recommendations for cooking a turkey outside come from AZCentral. I know you’ll miss that great smell lingering in your kitchen but these methods turn out amazing results. The flavor of the meat that comes from smoking a turkey is magnificent. I guarantee that you will savor it before it hits your dinner table. The result: A very tasty and lightly smoked turkey and whoever gets the last bite of the dark meat wins. If you happen to have any leftovers, it will make great sandwich. Time commitment: At least six hours from beginning to end for a 10-pound turkey. The wood: Mesquite is a good match for turkey. Cherry wood will give turkey a sweet, mildly smoked flavor. Lump hardwood hickory is also good. Use 15 pounds of wood, a mixture of dry and wet. You may use more or less, depending on your smoker. 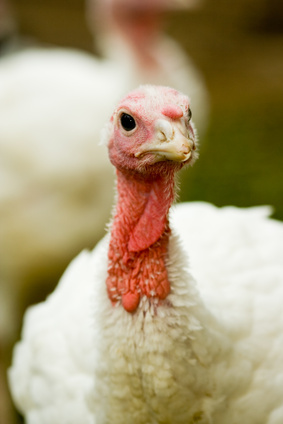 Turkey details: Use a 10-pound bird. Larger birds take too long to reach that safe internal temperature. If you need more meat, cook two small turkeys at once. Brine: Brine the turkey the night before in a solution of 1 cup salt, 1 cup brown sugar and 1/2 cup apple cider vinegar, and enough water to submerge the bird. Prepping the turkey: Rinse the bird and pat it dry. Remove the packages from the neck and body cavities. Rub: You can use almost any rub you want to – you may have your own favorite. You can rub the skin with 2 tablespoons of olive oil and then a dry rub consisting of 2 teaspoons of kosher salt with a teaspoon of fresh ground black pepper and a tablespoon each of fresh rosemary and thyme leaves. To truss, or not? Just tie the legs together. Our sources warned that parts of the bird may be undercooked if the turkey is trussed. 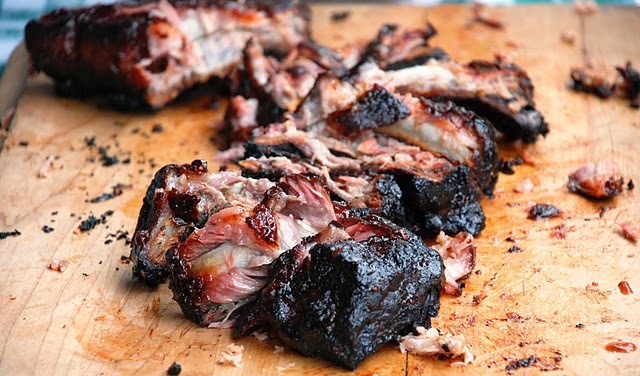 The temperature: Our sources recommended keeping the smoker temperature between 180 and 220 degrees. Be careful not to let the temperature get too low. Harmful bacteria can multiply at lower temperatures. The technique: We smoked the bird for five hours in an offset smoker, followed by a one-hour finish in the oven. We were tempted to smoke the bird until it reached a safe internal temperature of 165 degrees, but were concerned about the turkey taking on a bitter flavor from too much smoke. As with all smoking, it's all about trial and error. The most important thing to remember is to check the temperature on the smoker every 30 minutes and tend the fire as needed. Also, be sure to monitor the level of smoke in the smoker. Too much smoke can make the meat bitter. A friend of mine swears by deep frying his Thanksgiving turkey. Don’t even attempt to do this indoors because it is definitely an outdoor adventure. The result: A tasty turkey with extremely crispy, delicious skin. For outdoor cooking techniques, deep frying is the speediest way to get your turkey on the table. Time commitment: Minimal. From start to finish, it took less than an hour to prep and fry a 10-pound turkey. Level of difficulty: Easy, but dangerous if you don't follow the directions. Attention level: High. You have to closely monitor the oil. Hot oil can catch on fire. The setup: There are dozens of outdoor turkey fryers on the market, ranging from $40 to $125 or more. The setup we used was an economical $50 setup with a sturdy 12-inch burner base, a propane gas tank and a large 30-quart frying pot. 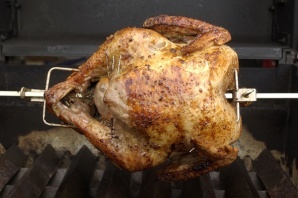 You should use a turkey fryer setup that is made especially for frying turkeys outdoors. The turkey: Fry a 10-pound turkey. It's best to fry a smaller bird. A large bird would require a larger pot than the typical 30-quart pot that most turkey fryers come with. Frying a large turkey in a small pot is a recipe for disaster. Turkey prep: Be sure to rinse and pat dry the bird. Remove the packages from the neck and body cavities. We separated the skin from the turkey and rubbed butter, salt, rosemary and thyme between the skin and the body. You can use just about any kind of rub or brine. We lifted the bird on the cooking rack that came with the turkey fryer and tied the turkey's wings and legs to the body with kitchen string. The oil: Use peanut oil. It's an oil that has a higher smoke point (the higher the smoke point, the higher the temperature can safely get). Keep the oil temperature between 325 to 350 degrees (never higher). Use a thermometer to closely monitor the oil temperature. How much oil to use? A good pot should come with a fill line. If not, follow the manufacturer's directions for filling the pot. Do not overfill; the oil could overflow when you lower the turkey in the pot. Safety equipment: You'll need a thermometer that is made for measuring the temperature of hot oil. You want to place the thermometer in the hot oil and keep it there to monitor the temperature continuously. Invest in an internal thermometer that can survive inside a frying turkey. It's essential for an accurate internal temperature. Safety precautions: Be sure to locate the fryer outdoors, at least 20 feet away from any structure. Hot oil catches on fire and would ruin your Thanksgiving, not to mention your house. Also, be sure to wear gloves and safety goggles when submerging and removing the turkey from the fryer. Keep a fire extinguisher near, just to be safe. When placing the turkey into the hot oil, the safe thing to do is to remove the hot pot from the burner, turn the fire off and slowly lower the turkey into the hot oil. Then, with help, lift the pot back onto the burner, then relight the burner once the pot is safely on top of the burner. Repeat the process when lifting out the turkey to check the temperature of the bird. Do not remove or lower a turkey into oil that is near a flame. The technique: Depending on the manufacturer's directions, your experience will vary, but our bird cooked in about 40 minutes. Many books we consulted recommended three to four minutes of cooking time per pound. Our turkey reached an internal temperature of 175 degrees, so we definitely could have taken the bird out sooner. Thirty minutes probably would have been fine. There is no better taste than a Rotissare cooked turkey. You just don’t get this when you cook a turkey in the oven. This method gives great, no fail results. Rotissare cooking is one of my favorite methods of cooking so if you happen to make it this way invite me over! I’ll even volunteer for the cleanup because it’s so easy when you use a spit to cook. Time estimate: Two to 2 1/2 hours, depending on size of turkey. Equipment: We used a Weber gas grill with an electric rotisserie attachment. Weber grills, with their indirect heating method, seem well suited to rotisserie cooking. If you are using another brand or a charcoal grill, check the manufacturer's suggested cooking method. Turkey preparation: Use a small 10-pound turkey, a nice size that will cook evenly and will not flop about. You can go larger, but it might be more difficult to balance on the roasting spit. Rinse and pat dry. Stuff if desired. Slather with vegetable cooking oil. Apply rub. Truss with string or tuck and pin wings and legs into place with small skewers. Fix the turkey on the rotisserie skewer. Secure tightly onto brackets, and test to see if it's well-balanced when rotated. Here's the rub: We recommend a dry spice/herb rub for flavor and appearance. You could use any kind of prepared poultry rub, or create your own. An easy one: 3 tablespoons each fresh rosemary, thyme and tarragon (half the amount if using dried herbs), 1 tablespoon pepper, 1 tablespoon kosher salt. Apply liberally over the skin and inside the cavity. Roasting: Lower to indirect medium heat when you put the turkey on. Check periodically to make sure bird is still secured. You could mop with chicken stock, white wine or your choice of basting sauce if desired. When internal temperature reaches 165 degrees in the thickest part of the breast, remove from grill. Use oven mitts to remove from skewer. This is the most creative method of cooking a turkey outside if you don’t have any of the equipment and want to get back to the basics. And believe me… this is basic. My friends cooked a turkey ala this method last August when they were camping and swear that it was the best. They don’t remember where they got the recipe but they said that they could not have possibly made it up. I haven’t tried it but they have cooked it twice since then. You might even have yourself a real winter luau. 5 gallon steel bucket - no handle, paint or galvanizing. Select cook site: Site should be well away from flammable material, and sheltered from steady wind. Remove flammable ground cover and stones under and near planned fire location. Prepare charcoal: Empty all 10 pounds of charcoal into a pyramid shape pile, and light. Let coals turn gray. Prepare turkey:Defrost turkey completely, rinse with water, and ties legs together with string. Prepare hickory wood stick: Drive stick into the ground. Leave top of stick high enough to just allow bucket to be lowered over the stick. Place aluminum foil: Roll aluminum cooking foil onto the bare ground all around the stick to form a ~ 3'x3' foiled area. Impale turkey on hickory wood stick: Slip the turkey over the stick and down to the aluminum foil.The turkey's narrow end does down. Cover turkey and stick with plain steel bucket: Invert 5 gallon plain steel bucket and lower same over turkey down to the aluminum foil. Load charcoal coals onto bucket: Using the garden shovel, carefully move the hot gray charcoal coals from the pile to the bucket. Pile a layer two coals deep onto the top. Place the balance around the perimeter of the bucket at its base. Reduce cooking time for less well done. Increase cooking time for windy or very cold weather conditions. Block wind from cooking bucket with nonflammable material if needed. Remove charcoal coals from bucket: Using the garden shovel, carefully remove the hot charcoal from the bucket. 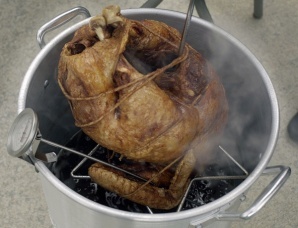 Remove the bucket from the turkey: Lift the bucket straight up and off the bird. 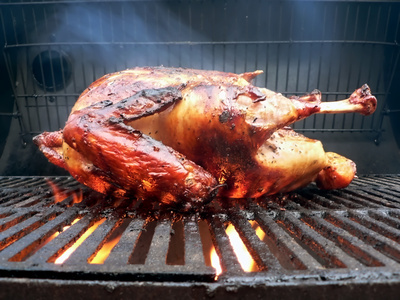 Remove the turkey from the hickory wood stick: Using the two barbecue forks, pick the turkey from two sides and carefully lift the turkey up and off the stick. I love Asian food and this is one of my new favorite turkey recipes. 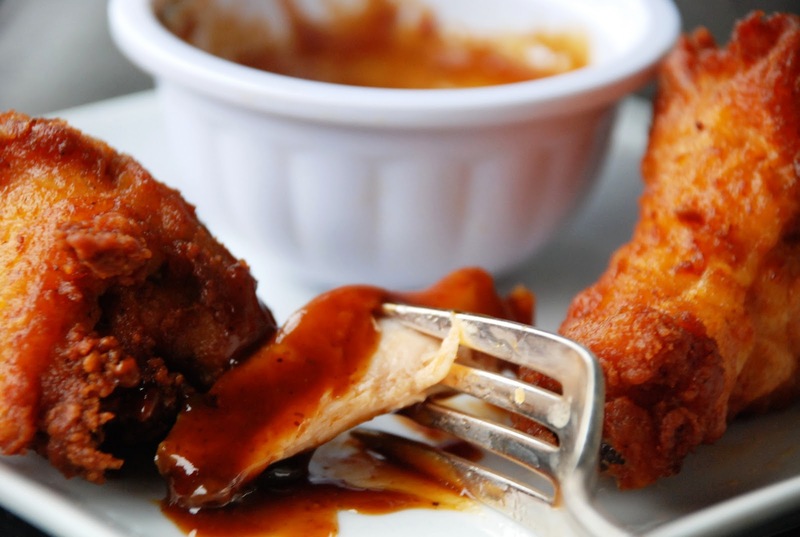 The combination of soy sauce and honey give it a beautiful and tasty glaze. In a very large bowl, whisk together the soy sauce, honey, sesame oil and half of the ginger. Put the turkey in the bowl, breast side down, and marinate at room temperature for 45 minutes. Turn the turkey and marinate breast side up for 15 minutes. Preheat the oven to 350°. Set a rack in a large roasting pan. In a small bowl, combine the salt, pepper and five-spice powder. Remove the turkey from the marinade; reserve the marinade. Set the turkey on the rack, breast side up, and season it inside and out with the salt mixture. Stuff the cavity with the scallions and the remaining ginger. Turn the turkey breast side down on the rack. Add 2 cups of water to the roasting pan. Loosely cover the turkey with a foil tent. Roast the turkey for 4 hours, basting with some of the reserved marinade every hour and adding a total of 3 cups of water to the pan during roasting. Turn the turkey breast side up and baste well with the reserved marinade. Roast uncovered for 30 minutes, basting once halfway through cooking. The turkey is done when an instant-read thermometer inserted in the thigh registers 165°. Carefully pour the juices from the turkey cavity into the roasting pan and transfer the turkey to a carving board. Let rest in a warm place for 30 minutes. Meanwhile, strain the pan juices into a large saucepan and skim off the fat. Add the chicken stock to the juices along with 3 cups of water and bring to a boil. In a medium bowl, blend the butter with the flour to make a smooth paste. Gradually whisk in 2 cups of the hot pan juices until smooth. Whisk the mixture into the saucepan and bring the gravy to a simmer, whisking constantly, until thickened. Simmer the gravy over low heat, whisking occasionally, until no floury taste remains, about 8 minutes. Carve the turkey; pass the gravy at the table. 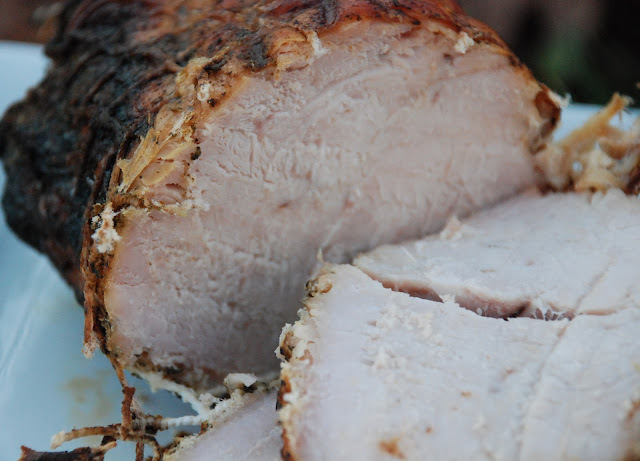 This is another distinctive recipe and the cane-syrup-coffee glaze is a perfect match for the mild taste of the turkey. I know, tradition is tradition but it seems that more and more recipes these days include ingredients like cane syrup and coffee that give turkey a unique and flavorful taste. In a large saucepan, bring 1 gallon of the water to a boil; keep warm. In a large stockpot, combine the cider vinegar, coffee, onion, thyme, salt and peppercorns with 1 3/4 cups of the brown sugar and the remaining gallon of water. Bring to a boil. Holding the turkey by the legs, carefully ease the bird into the hot brine, neck end down. Add enough of the hot water to the stockpot to cover the turkey and bring to a simmer. Simmer for 1 1/2 hours. Carefully remove the turkey from the stockpot. Strain 2 cups of the braising liquid into a heatproof bowl and stir in the remaining 1/4 cup of brown sugar. Discard the remaining braising liquid. Meanwhile, light a charcoal grill or preheat a gas grill. A few minutes before the turkey has finished simmering, add 2 cups of the hickory chips to the coals. When the chips start smoking, brush the turkey breast with oil. Set the turkey, breast side down, on the grill. Cover and smoke over a low fire or flame for 15 minutes. Baste the turkey with the reserved braising liquid; turn it breast side up and baste again. Cover the grill and continue smoking the turkey for about 40 minutes longer, basting occasionally with the braising liquid and adding more coals or hickory chips to the grill as necessary. The turkey is done when an instant-read thermometer inserted in the inner thigh registers 165°. Transfer the turkey to a cutting board and let rest 20 minutes before carving. One of the things I like most about the holidays are drinks like eggnog. Eggnog is so good I haven’t quite figured out why it only comes out at Christmas. 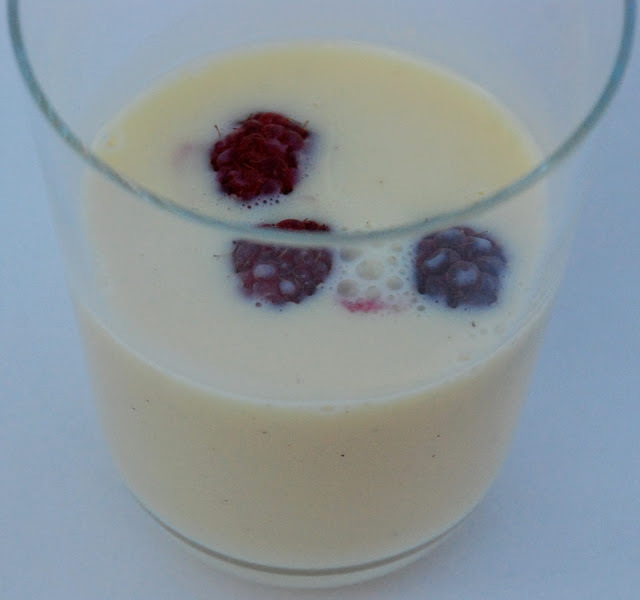 Here is a low calorie – low fat version that I liked almost as well as the one I make where I have to measure exactly a half a cup because of the fat content. Drink up because the nutritional information sets the calories at 147 and the fat at just 2.3 grams. Combine first 5 ingredients in a medium saucepan. Bring to a boil over medium heat, stirring constantly with a whisk. Place egg yolks in a medium bowl. Gradually whisk one-third of hot milk mixture into egg yolks. Add yolk mixture to remaining hot milk mixture, stirring with a whisk. Cook over medium heat 1 minute or until slightly thickened. Pour into a pitcher; stir in bourbon, brandy, and vanilla. Cover surface of eggnog with wax paper; refrigerate at least 4 hours or overnight. Garnish with additional nutmeg, if desired. We all know that Pomegranate juice is good for you. 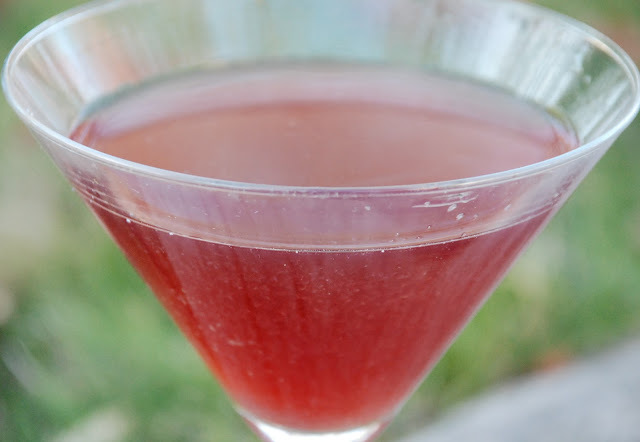 You can also spike this with a little shot or serve a nonalcoholic version (using nonalcoholic wines) which I also really liked. I’ve always loved caramel apples so here it is...in a glass! Combine apple cider and cinnamon syrup in a 9-ounce coffee mug. Garnish with whipped cream and a drizzle of caramel syrup. This pâté recipe is based on liverwurst. I’m a huge pate fan so when I found this recipe in the November issue of Cooking Light, I had to try it. This may just be my new favorite appetizer for the holidays. You’ll find this recipe easy to make and definitely the one that grabs all of the attention at your next cocktail party. It was almost as good as the real thing. I modified it a bit and topped the pate with the chopped cherries and bacon instead of stirring them in. • 2 tablespoons chopped unsalted dry-roasted pistachios (optional), chopped and sprinkled over the pate. Place cherries in a small saucepan with just enough water to cover; bring to a simmer over medium heat. Cook 3 minutes or until soft. Drain cherries; cool slightly, and finely chop. Cook bacon in a small skillet over medium heat until crisp; remove bacon from pan, reserving 1 tablespoon drippings in pan. Finely chop bacon. Add shallots, thyme, salt, pepper, garlic, and bay leaf to drippings in pan; cook 2 minutes or until softened, stirring occasionally. Remove pan from heat. Add cognac, scraping pan to loosen browned bits. Remove the bay leaf. 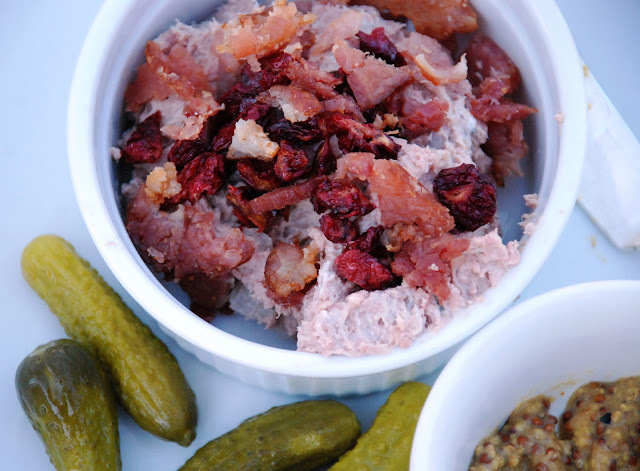 Place shallot mixture, cream cheese, and liverwurst in a food processor; process until smooth. Place in a small bowl; top with bacon and cherries. Cover surface of pâté with plastic wrap; chill at least 8 hours. 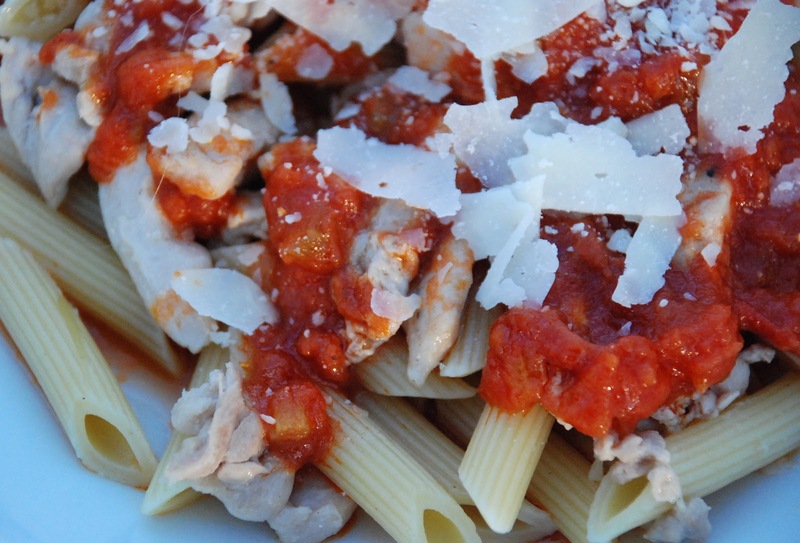 In Italy, pasta sauce made with young roosters is tastier than one made with hens. To capture the flavor with what is available in my meat market, I used chicken thighs, the tastiest part of the chicken. Remove the skin and all the fat from the chicken thighs, wash them in cold running water, and cut all the flesh away from the bone. Grind the meat fine in a food processor or a meat grinder. If you don’t have these tools, it’s OK to chop. Put the oil, butter and chopped onion in a medium skillet, turn on the heat to medium high, and cook the onion, stirring from time to time, until it is colored a light gold. Add the chopped carrot and celery and cook for a minute or so, turning the vegetables over from time to time to coat them well. Add the chicken, increase the heat, and cook for 6 to 7 minutes, turning the meat over frequently. Add salt, pepper, the mint leaves and the white wine, turning over the contents of the skillet two or three times. When the wine has bubbled away, add the tomatoes, turn over the contents of the skillet, and lower the heat. Let the tomatoes cook at a gentle but steady simmer in the uncovered pan for 30 to 45 minutes, until, when you skim the surface of the sauce with the side of a wooden spoon, the fat following the spoon's trail runs clear. Add the mixture of chopped rosemary, sage and lemon peel, turn it over with the contents of the skillet to distribute it thoroughly, and cook at a gentle simmer for 10 minutes.